Griffin Clonmac, a passionate maritime archeologist, allows history to guide him in his search of a mysterious bridge believed to be resting at the bottom of the River Shannon near the monastery of Clonmacnoise, Ireland. Foregoing all sense of safety to find the sunken Clonmac bridge, he enters dangerous territory brimming with engaging characters and powerful forces. As Clonmac struggles to gain funding and leverage for his venture underwater, he finds himself uncovering more than he bargained for as secrets hidden with murderous motivations begin to reveal themselves. Once he teams up with Mari Quispe, a Peruvian archeologist with a powerful and dangerous family, his problems expand as she fights to stay in Ireland while their relationship becomes increasingly romantic. This independent and strong woman proves, although plagued by the nefarious efforts of her coercive father, useful as a companion and partner to Clonmac. Simultaneously, the story of Decanus Riordan, the bridge's architect and a 9th century monk caught in deadly controversy, unfolds as he finds himself at odds with the Church and fighting for the chance to see his dream come to fruition. This historical fiction explores the accounts of multiple characters in a nearly seamless telling of the drama which unfolds throughout this hazardous expedition. Each character contributes an air of intensity, mystery, and balances Griffin Clonmac's imperturbable determination to claim his discovery. The author, Jeffrey Perren, writes, Clonmac's journey "was the pursuit of nothing less than to know how we came to be as we are." Will Clonmac and his allies discover their prize, while avoiding the dangers lurking behind every corner? This journey melds a passion for archeology and the challenges which relationships inevitably encounter attempting to survive treachery and capture greatness. "Well, not quite my daughter yet. Her mother's, perhaps. A daughter of mine would have stuck the ice pick in my eye." Jeffrey Perren is an American novelist, educated in philosophy at UCLA and in physics at UC Irvine. He wrote his first short story at age 12 and went on to win the Bank of America Fine Arts award at age 17. 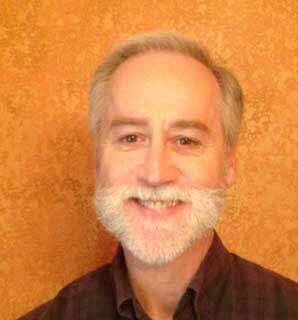 Since then he has published at award-winning sites and magazines from the U.S. to New Zealand. His debut novel was Cossacks In Paris, an historical adventure set in Napoleonic Europe, inspired by a real soldier of the Battle of Paris in 1814. His second, Death is Overrated, a romantic mystery, had its genesis in an old film called DOA. The protagonist is poisoned and has 48 hours before dying to discover who gave him the fatal dose. 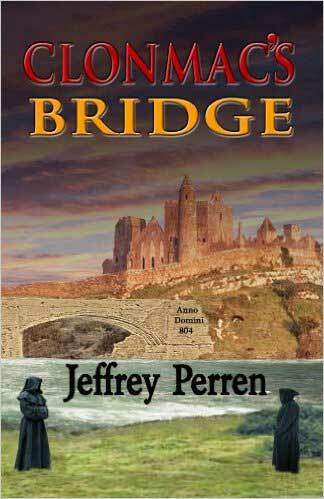 His third is Clonmac's Bridge, an archaeological thriller and historical mystery set in contemporary and 9th century Ireland. He was born in Independence, Missouri, right around the corner from Harry Truman's house. But then, at the time, everything there was right around the corner from Harry Truman's house. He now lives in Fort Worth, Texas with his wife, an economist.